Albert Rosenstein, an operations engineer with the Florida Department of Transportation, discusses roundabouts proposed in Holmes Beach during a meeting April 9 of the Coalition of Barrier Island Elected Officials at Bradenton Beach City Hall. The Florida Department of Transportation is driving plans to install two roundabouts to uncork bottlenecks in Holmes Beach. 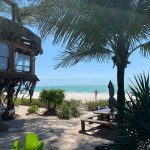 Island and state officials, along with transportation planners, have discussed at least eight possible roundabouts on Anna Maria Island during the past two years, including some proposed in the Barrier Islands Transportation Study expected to conclude next season. 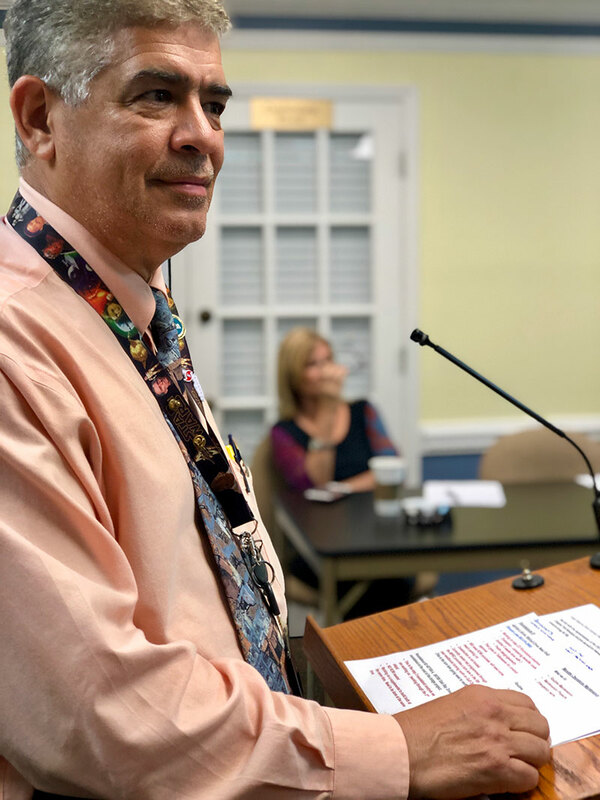 DOT operations engineer Albert Rosenstein provided details of two roundabouts intended to ease congestion on Manatee Avenue-State Road 64 between the Anna Maria Island Bridge and the Manatee Public Beach during a meeting April 9 of the Coalition of Barrier Island Elected Officials. 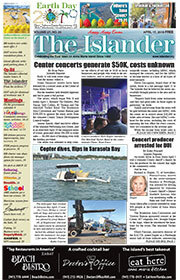 The CBIEO consists of elected officeholders in Anna Maria, Bradenton Beach, Holmes Beach and Longboat Key. One roundabout would be at Gulf Drive-State Road 789 and Manatee Avenue at the entrance to the public beach. Rosenstein described the DOT’s three-step process for evaluating whether a roundabout is the best alternative at an intersection. Review of a proposed Gulf Drive-Manatee Avenue roundabout is at step two, with DOT officials conducting a cost-benefit evaluation of intersection improvements. The first step involved a screening of the intersection. “Then it goes to Tallahassee for conceptual approval,” Rosenstein said. Installation of the roundabout would require a right-of-way purchase, probably from the beach parking lot, he added. And some money for the acquisition project is budgeted for fiscal year 2019. A second roundabout would be at the East Bay Drive and Manatee Avenue intersection, west of the Kingfish Boat Ramp. The DOT is at the third step in this review, with the concept under consideration in Tallahassee. Rosenstein said the DOT would not need to acquire right of way for the East Bay-Manatee Avenue project. He also said construction has not been budgeted. “Do you know what year for the roundabouts?” Holmes Beach Mayor Judy Titsworth asked Rosenstein. “No, I do not,” replied Rosenstein. 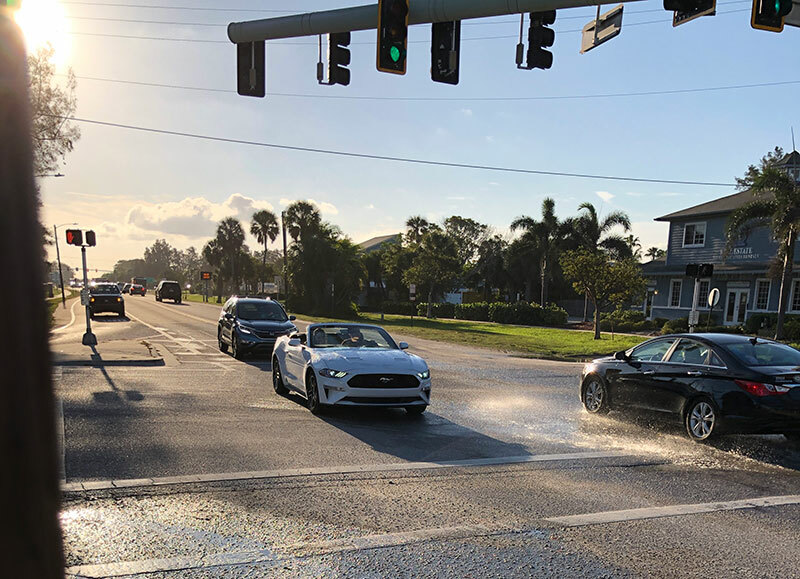 The roundabouts, he said, would be built at the same time and installation would not be tied to construction of a proposed high bridge on Manatee Avenue connecting Anna Maria and Perico islands.